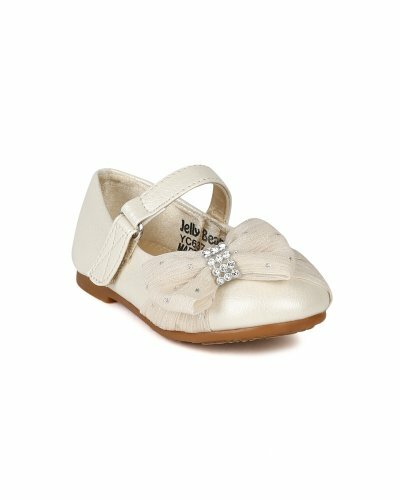 Let your little princess dazzle in these elegant and cute ballerina flat! Designed with leatherette upper, rhinestone studded fabric and large fabric bow on vamp, mary jane hook and loop strap, completed with padded insole for all day fun and play! If you have any questions about this product by JELLY BEANS, contact us by completing and submitting the form below. If you are looking for a specif part number, please include it with your message.